This post is by my 20 year-old student daughter. 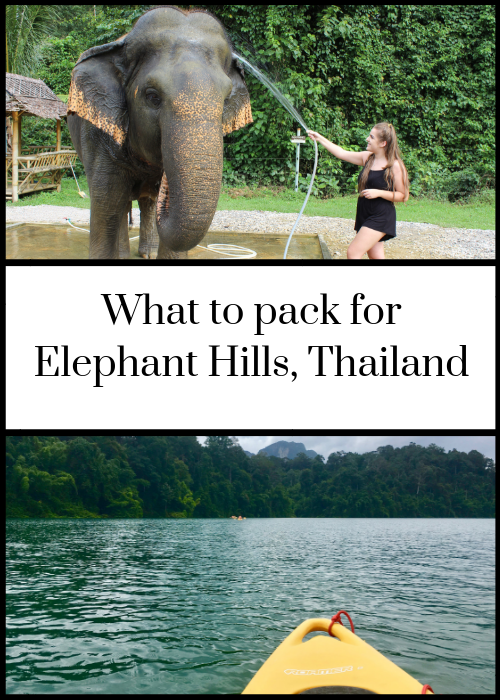 If you’ve read this post, you’ll know a bit about what it’s like to stay at Elephant Hills luxury tented camp in the rainforest of Khao Sok National Park in Thailand. There are four different tour packages to choose from when you book your stay, ranging from two to four days. Each tour package involves a different combination of the various days of activities that Elephant Hills offers. We did the four-day Rainforest Nature Safari, so experienced all the different activity days, apart from staying overnight at their floating Rainforest Camp, on Cheow Larn Lake. Our trip was in August. As an entirely new experience for our family, we found it very hard to know what to pack. 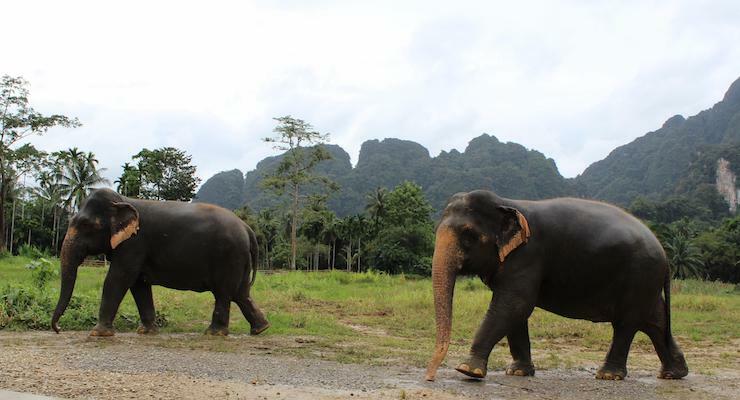 Luckily, one of my Dad’s colleagues had visited Elephant Hills in the past, so we were able to ask her some questions – and we’ve now compiled this list to help you! In general, I’d say the most important thing is to make sure your clothes are all light and thin, as it can get very humid in the rainforest. The weather can be unpredictable in the rainforest (it rained for an hour-or-so on a couple of the afternoons we were there), so I’d definitely also recommend getting a thin waterproof coat with a hood. Likewise, it is very important to get a decent mosquito spray, as there may be a lot of mosquitos in the rainforest. The most effective ones have a high percentage of DEET. I’d recommend getting one bottle per person – the more the better. One family we met had only brought one bottle of spray between them, and it ran out very quickly. I sprayed myself once or twice a day, and didn’t get bitten at all during my stay at Elephant Hills. The other thing that was useful was a waterproof bag to put our phones in for the water-based activities. Mum also had a waterproof mobile phone case which she accidentally tested out when she jumped in the lake with her phone in it under her lifejacket – it definitely works! Every Elephant Hills guest does this activity on their first day at the camp. I wore a black playsuit and flip-flops for this day, Mum wore long, thin trousers, a T-shirt and flip-flops. Definitely wear dark, thin clothes, as you will be helping to wash the elephants and so will most likely get wet (and a little bit dirty). Dark clothes, or just old clothes you don’t really mind about ruining, are perfect for this. Likewise, I’d recommend wearing thin clothes, like shorts and a t-shirt, which will dry quickly. You won’t be doing much walking so don’t really need trainers, especially if they’re heavy ones which will take a while to dry – flip flops are completely fine. You can wear whatever you want for this day, really. I’d wear anything that’s thin and comfortable. Shorts may be a good idea, as you go on a speedboat around the lake and might get a bit splashed – skin is more waterproof than trousers! In terms of shoes, you will be walking around a little bit, but only on paths, so sandals or trainers are fine. Be sure to take swimming costumes with you, as at the lake you can swim or kayak. Like the lake day, you can basically wear whatever shoes and clothes you are comfortable in – I ended up wearing the same shorts and t-shirt on both days! You will be going on a speedboat through mangrove channels, and spend a few hours aboard a junk boat. Whilst on the boat, you can swim In the lake or kayak through the mangroves, so remember to bring swimming costumes. Everyone at Elephant Hills goes on the rainforest walk on their last day at the camp. Your group will be walking through the rainforest, with a guide. For portions of the walk, you will be going through a stream. Although the stream is very shallow, and you can largely avoid it by stepping on rocks, your feet will most likely get a little bit wet. I would recommend not wearing any shoes that you are planning on travelling to your next destination in – unless you fancy being in soggy shoes all afternoon! 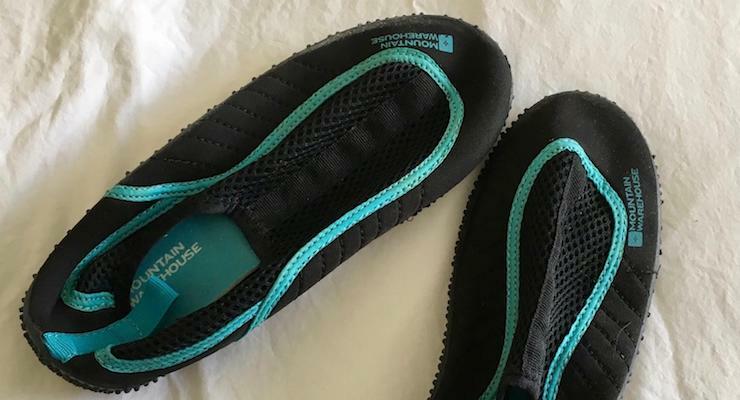 We had been recommended to get water shoes, which worked very well. The waterproof material meant that our feet didn’t get too wet, unlike how heavy trainers can get when they’re wet; the shoes had decent soles and were fine for walking through the rainforest in. In terms of clothes, I wore the same dark, thin outfit that I had worn on the first day with the elephants. If you’re worried about mosquito bites in the rainforest, you can wear a long-sleeved top and trousers, but I had my arms and legs fully out and didn’t get bitten once, thanks to copious amounts of mosquito spray. Take thin, comfortable clothes with you for the evenings. You can wear whatever you want – some people wore long-sleeved tops and trousers, to minimise mosquito bites, but I didn’t do this and didn’t get bitten at all. Disclosure: We were given a discounted rate for our stay at Elephant Hills. This post contains affiliate links, which means that if you click through and buy something I may receive a small commission. Thank you so much for all your information. It was so very helpful. I would have packed all the wrong things and not have the very necessary items for the experience. You’re very welcome – I hope that you had a great trip. This is so useful – I can imagine it’s easy to pack things which aren’t quite right and it would make quite a difference out in the jungle. Definitely. We spent quite a while researching what we needed to take, so hopefully this post will be helpful for others.